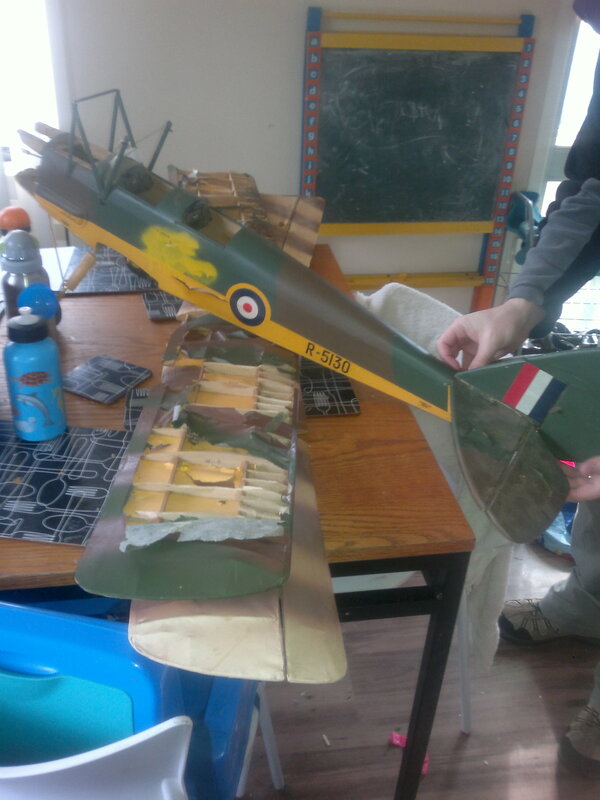 I went down to the local tip's 'revolve' store yesterday to have a look at bikes, when I saw a kid with an old balsa and ply fuselage and two wings. The covering film was tissue and dope, and it was in a terrible state. The kid abandoned the parts in the toy area and was promptly stood on by several other kids before I picked up the parts, took it to the front counter and asked the guy how much it was. $5. Well, I couldn't resist. 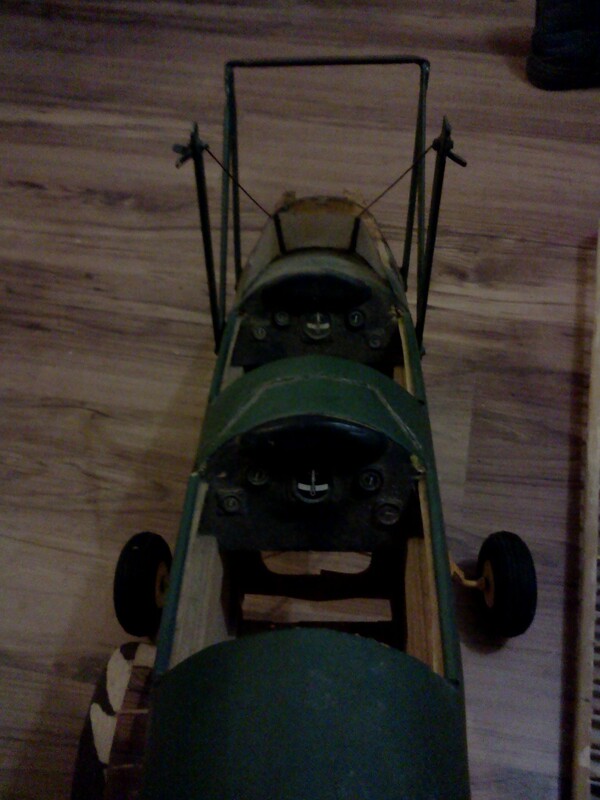 I'd also found the tail feathers for it and thought I might have a go at restoring an old model and converting it to electric. My wife pulled off all the covering for me. 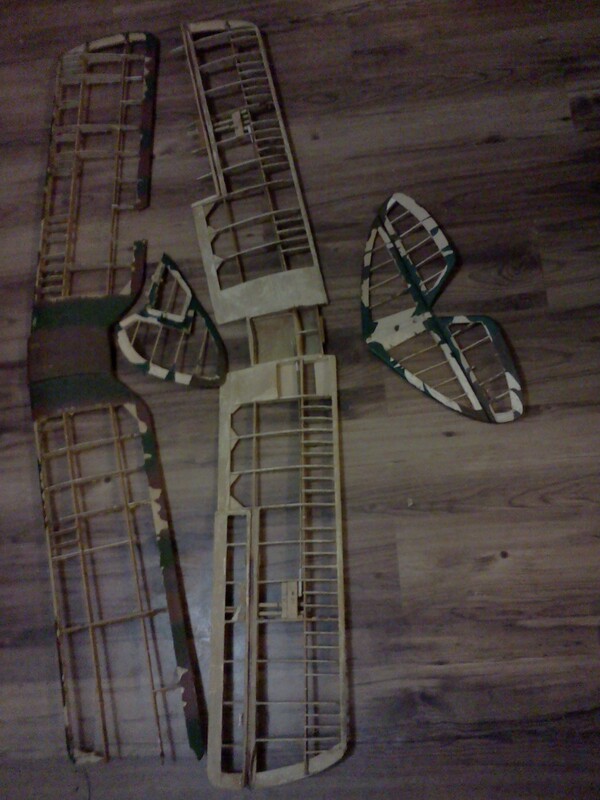 The bottom wing is in really good shape and only needs a few new pieces in there. The top wing however is a mess. 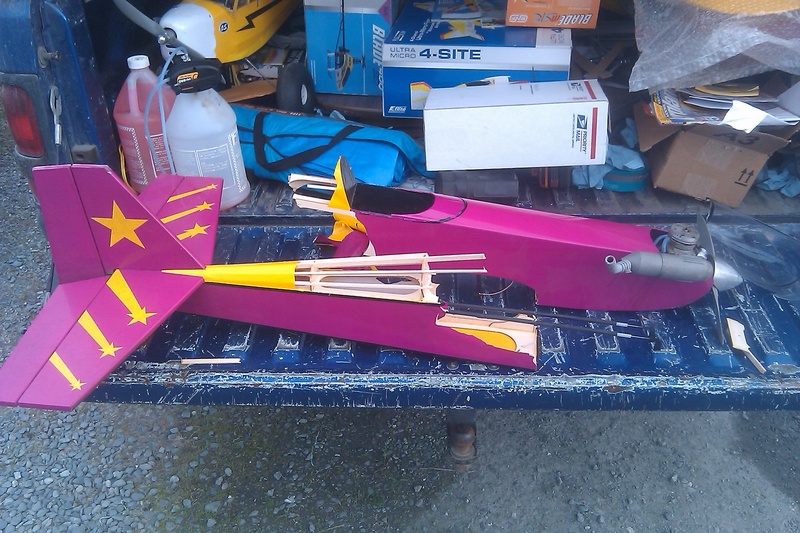 This is going to take some serious balsa bashing to get it back up and running! I pulled out the fuel tank, which was nice and clean, and it's an old 4Oz plastic job made in... Western Germany! Wow, there's my $5 back! This old girl is about 52" wingspan and all up weight is likely to come out at around 2kg (scales are out of action). Could be a long build, but hopefully worth it in the end. 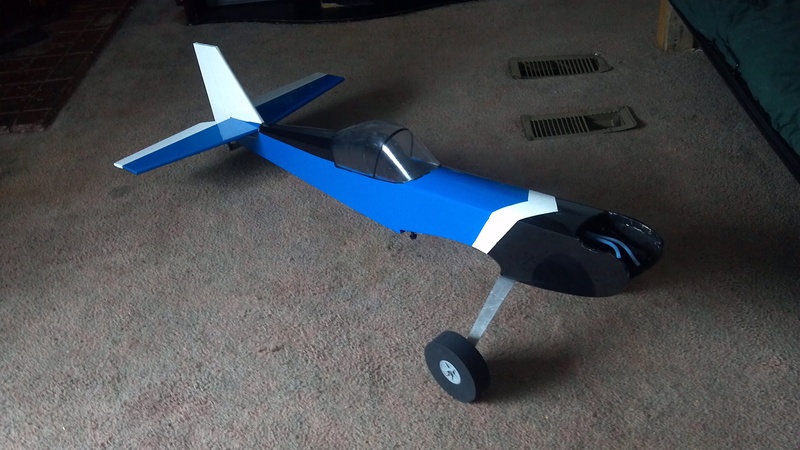 Plan is to use a high-ish kv motor (~900-1000kv) and a 14 or so inch wooden prop on 3s (likely motor a Hobbyking Easymatch or similar), aiming at about 1700g thrust to give nice, scale flight. Although we'll see how heavy we end up after the re-build. very cool, keep up posted! What would be cool is to use some 3mm depron for covering instead of tissue or fabric. Depron's too expensive in Aus The plastic covering film from HK should make it spiffy quite cheaply. I've seen this in the flesh at our recent (air)Craft Night. Amazing - someone put a lot of work into this. And now LM has signed up for a lot more work! Yup. Got the balsa today. Just _please_ don't use hot glue for the balsa. Hahaha. Don't worry, I've got proper glue for it! 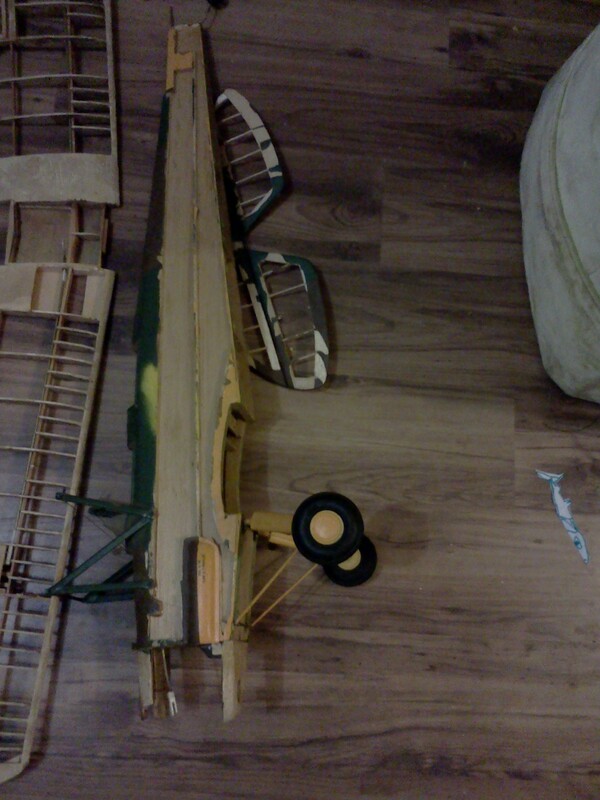 I find it easier/more enjoyable to rebuild the whole plane than to just fix it. It's just a different challenge. It takes a lot longer to completely build one than it does to do some structural repairs and recover one. However the aerodynamic characteristics of a plane are more pleasant when the plane is not full with patch material... Of course I wouldn't rebuild a plane just because of a nick in a wing - but this plane is quite destroyed. The least I'd do is rebuild the top wing. As long as you have smooth surfaces under your covering the aerodynamics are completely unaffected. Balsa is not like foam. You don't simply add tape and glue and tons of weight, you replace the parts that are damaged with new parts. Cut slots and assemble like the original assembly with minimal glue. Little weight is gained if done correctly and once sanded the covering goes on like new, you can't even tell the difference and the flight characteristics are equally pleasant. 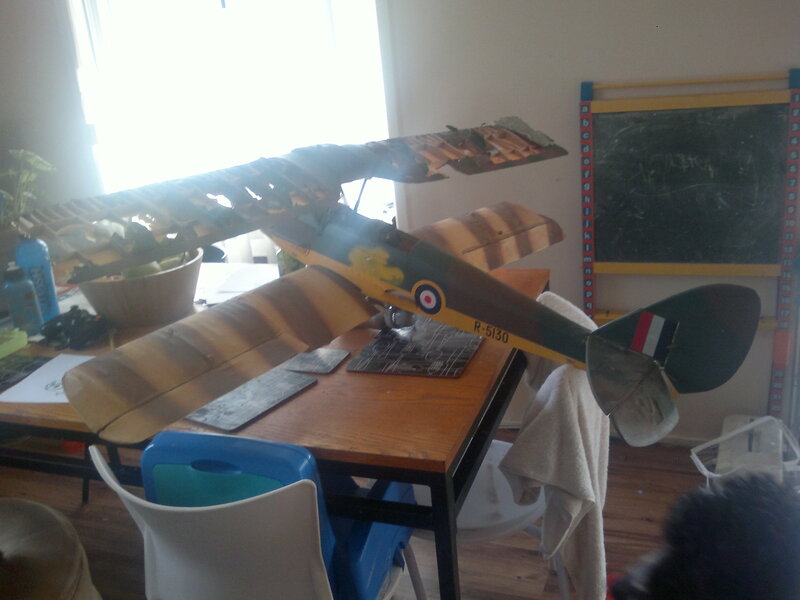 I found it much easier to simply repair my fourstar which was broken completely in half than it would have been to start from scratch and try to jig up a whole new fuselage. I was also able to complete these repairs in a few nights versus the weeks or months it would have taken me to find time to build a new plane. Then there's the price. Buying a new kit versus some bulk ply and balsa and new covering. Aside from my amateurish covering job you can't tell there was ever a problem. Thanks. I'm looking forward to seeing how yours goes. I'm still trying to find the time to finish the wing mods. I'm adding two more servos to run an aileron/flap combo. Then I can finally cover it. I still need to get a new engine for it, a Magnum .91 fourstroke is going to fit nicely. If only they had a laser cutter at Hobbyking for a hundred bucks or so lol. I've been thinking about a CNC project for a while. Well. It's true what you say. It is sometimes cheaper/faster to fix a plane than it is to rebuild it completely. But I sure do enjoy building! 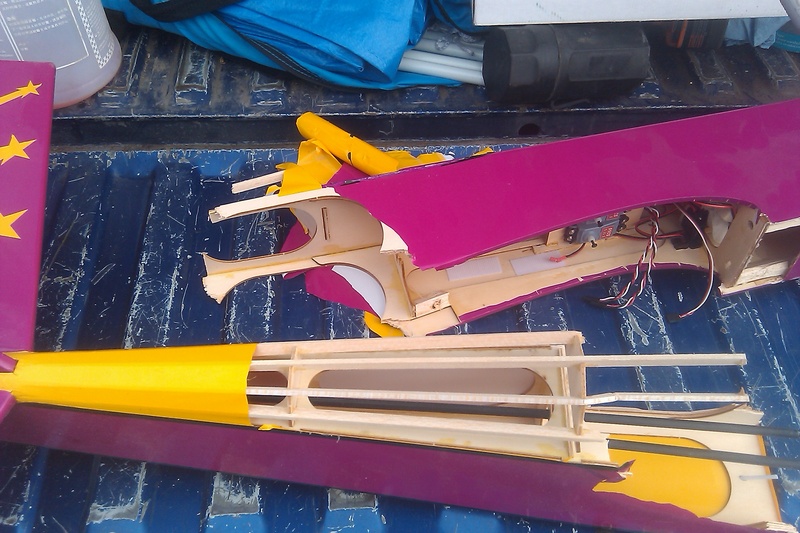 And that look - of an uncovered balsa frame... That's so awesome! Yikes. Now we're in FPV gear territory dollars wise... If you make one, I'll use it for sure! @ Colorex, I agree. Looks very cool. 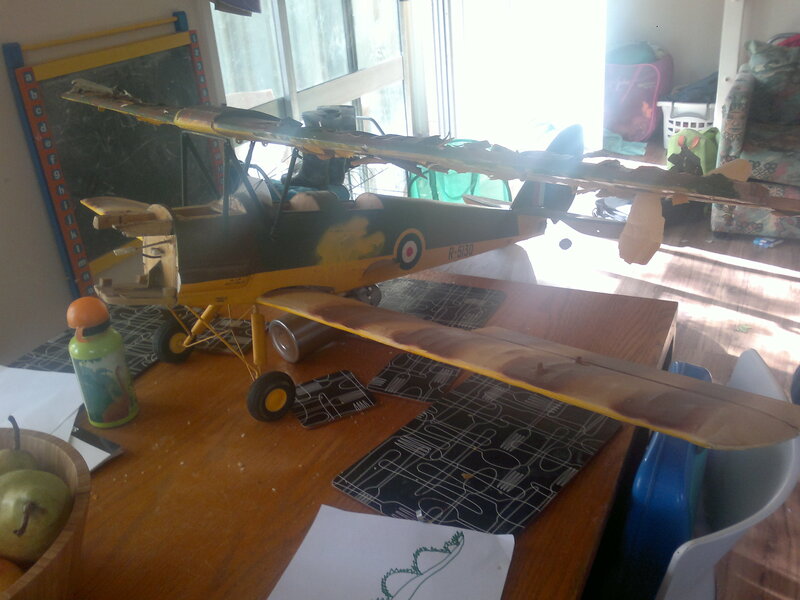 I love the look of balsa planes with transparent covering... Even if the whole transparent thing was cool in the 90s!